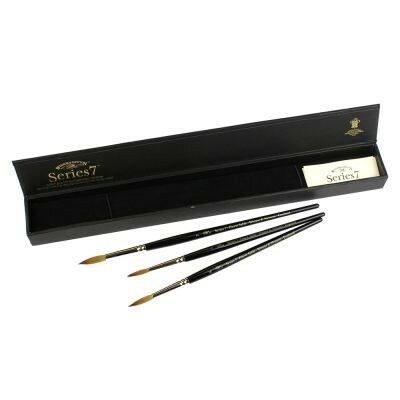 Series 7 brushes are Winsor & Newton's highest quality sable brushes. This set of three brushes size 5,6 and 7 come in a black presentation box and make the perfect gift for any watercolourist. These brushes bought separately at full list price are £180.50!! Sorry about the faulty brush. This can happen from time to time with hand made brushes. A replacement brush was sent free of charge.